Some mutual funds that charge front-end sales loads will charge lower sales loads for larger investments. For example, a fund might charge a 5% front-end sales load for investments up to $25,000, but charge a load of 4% for investments between $25,000 and $50,000 and 3% for investments exceeding $50,000. The investment levels required to obtain a reduced sales load are commonly referred to as "breakpoints." In this example, the breakpoints were $25,000 and $50,000. Funds that offer breakpoints can set them at their discretion. The SEC does not require a fund to offer breakpoints in the fund's sales load. If breakpoints exist, the fund must disclose them. In addition, a brokerage firm that is a member of the NASD should not sell you shares of a fund in an amount that is "just below" the fund's sales load breakpoint simply to earn a higher commission. Each fund company establishes its own formula for how they will calculate whether an investor is entitled to receive a breakpoint. For that reason, it is important to seek out breakpoint information from your financial advisor or fund. You'll need to ask how a particular fund establishes eligibility for breakpoint discounts, as well as what the fund's breakpoint amounts are. 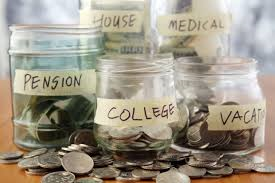 Some funds base eligibility for a breakpoint discount upon all of the investments within a household. Others look only at the total amount you personally have invested. Keep in mind that you may be entitled to aggregate investments made in all of your accounts (or, in some cases, all of your household's accounts) to calculate whether you may receive a breakpoint. These might include brokerage accounts you or your household have at different firms, college savings accounts (so-called "529 plans"), and retirement accounts. You might also be able to aggregate purchases in different funds within a fund family, as well as different classes of shares you may have purchased. You may be entitled to combine your previous fund purchase amounts to obtain a breakpoint discount upon a purchase you make today. Or, you might be able to obtain a breakpoint discount for an investment today if you agree to make additional purchases in the future. In this case you would sign a "letter of intent" to make additional purchases in the future. Be aware, though, that if you don't carry through with your promised future purchases, the firm may retroactively collect a higher fee. Always check to make sure that you have been credited the breakpoint discounts to which you are entitled. NASD's Mutual Fund Breakpoint Search Tool can help you determine whether you're entitled to breakpoint discounts. If you think you should have gotten the benefit of a breakpoint but did not, first contact your broker (or the fund if you did not use a broker) and ask that you be given the discount. If you aren't happy with the answer, or if you don't understand what you're told, write a letter to your broker or fund and ask for a written reply. If you are not satisfied with the response, you can file a complaint with us using our online complaint form.